Looking to hire a marquee for a party? We can hire a marquee out for any occasion. 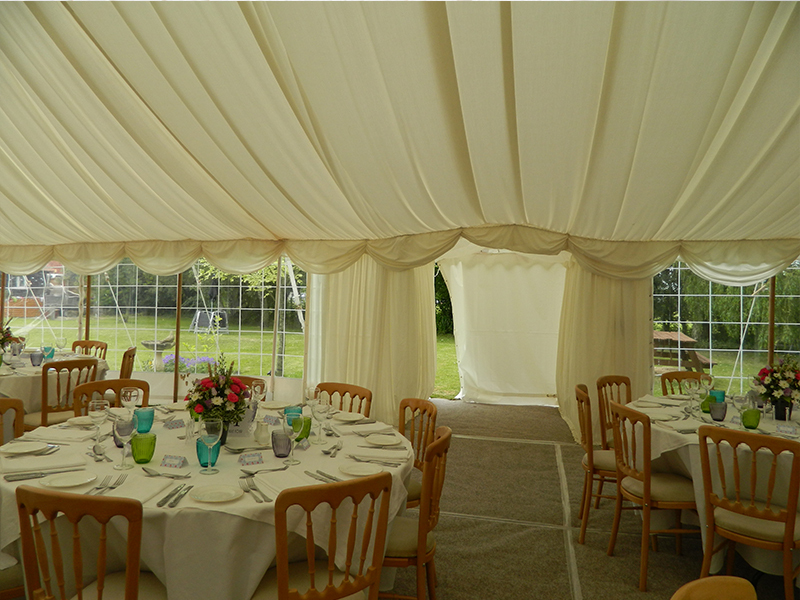 A marquee makes the perfect venue for any party or event. That’s because a marquee offers flexibility and range of use that static or permanent venues can’t quite match. A marquee is a blank canvas on which clients can put their own design mark and colour scheme. Marquees can also be used to take advantage of great views or other special locations. Hiring a marquee allows you to have all the benefits of a semi-permanent space for as long as you need it. Choose your style, size and shape and Weatherill Brothers can provide the perfect event space. It’s a great way of adding additional seasonal space, allowing you to cater for larger and multiple parties. Then when you don’t need it anymore, we’ll come and take it away. If you’d like more help or information about our marquee hire service, call 01953 882 394. We are more than happy to talk through your options.